Kenema (Sierra Leone) (AFP) - It has laid waste to the tribal chiefdoms of Sierra Leone, leaving hundreds dead, but the Ebola crisis began with just one healer's claims to special powers. The outbreak need never have spread from Guinea, health officials revealed to AFP, except for a herbalist in the remote eastern border village of Sokoma. "She was claiming to have powers to heal Ebola. 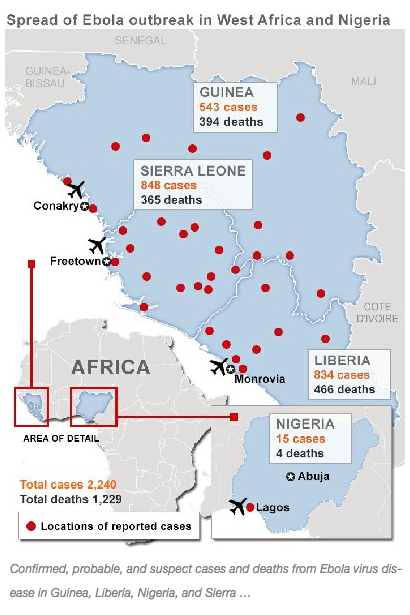 Cases from Guinea were crossing into Sierra Leone for treatment,"
Mohamed Vandi, the top medical official in the hard-hit district of Kenema, told AFP. "She got infected and died. During her funeral, women around the other towns got infected." Ebola has killed more than 1,220 people since it emerged in southern Guinea at the start of the year, spreading first to Liberia and cutting a gruesome and gory swathe through eastern Sierra Leone since May. The tropical pathogen can turn people into de facto corpses with little higher brain function and negligible motor control days before they die. The virus attacks almost every section of tissue, reducing organs and flesh in the most aggressive infections to a pudding-like mush which leaches or erupts from the body. The virus is highly infectious through exposure to bodily fluids, and its early rapid spread in west Africa was attributed in part to relatives touching victims during traditional funeral rites. The herbalist's mourners fanned out across the rolling hills of the Kissi tribal chiefdoms, starting a chain reaction of infections, deaths, funerals and more infections. 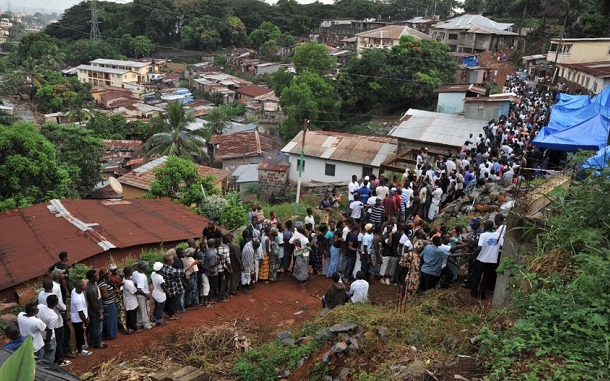 A worrying outbreak turned into a major epidemic when the virus finally hit Kenema city on June 17. 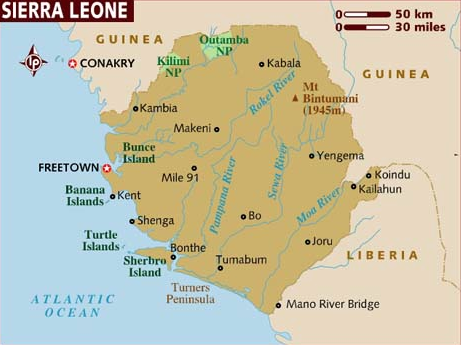 An ethnically-diverse, Krio-speaking city of 190,000, Kenema already has the highest incidence of Lassa fever -- another viral haemorrhagic disease -- in the world. But the brutality and cold efficiency of the Ebola virus -- described in medical literature as a "molecular shark" -- caught the city's shabby, chaotic hospital off-guard. Crumpled photographs of dead nurses cover noticeboards on the flaking walls outside the maternity unit and in the administration block. Twelve nurses have been among 277 people to die since the first case showed up in Kenema hospital. A further ten have been infected with Ebola and survived. "The nurses who lost their lives and those who got infected would never have gone in knowing that they would get infected," Vandi, the district medical officer, told AFP. "We are fighting a battle that is new. Ebola is new here and we are all learning as we go along." The first case at the hospital was a woman who had partially miscarried, having probably passed the virus to her unborn child. The facility boasts the only Lassa fever isolation unit in the world, set apart from the main building, and a makeshift Ebola unit was quickly set up there. It was then that the nurses began dying. As head sister of the Lassa fever ward for more than 25 years, Mbalu Fonnie was credited with attending to more haemorrhagic fever patients than anyone in the world. She had survived Lassa fever herself, but was no match for the Ebola virus when it got into her bloodstream from a patient in July. She was dead within days, along with fellow nurses Alex Moigboi and Iye Gborie, and ambulance driver Sahr Niokor. The deaths prompted a strike of 100 nurses, who complained of poor management of the Ebola centre. 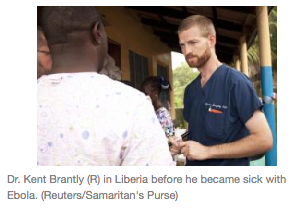 "Wherever the Ebola virus strikes for the first time, there is a heavy toll on healthcare workers because they don't have experience with it," Vandi told AFP. "The Ebola virus is deadly and unforgiving. The slightest mistake you make, you will get infected." Umar Khan, a hugely admired doctor and the country's leading Ebola specialist, died after saving more than 100 lives, and at least nine nurses have died since. There are 80 beds in the hospital's Ebola centre, almost double its capacity. Shifts are voluntary, and many nurses have refused to work in the unit, while those who remain are overworked and exhausted. Some staff say they have gone weeks without a day off, and 12-hour shifts are par for the course. Sister Rebecca Lansana was quoted by the Guardian newspaper as saying she was nervous about the high number of staff deaths. "My family do not want me to come here anymore. 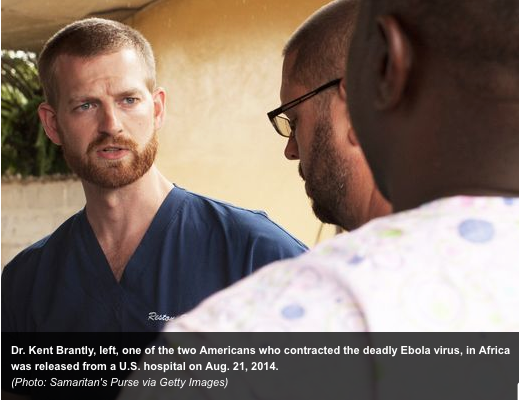 They think I will die, they don’t want to be around me in case I give them Ebola,"
she told the London-based daily. By the time the article came out on August 9, Lansana had already been dead five days, aged just 42. Her husband Emmanuel Karimu, 45, told AFP she was moved from maternity to the Ebola unit after a crash course of just one week. One day after work, she began to feel feverish and feared the worst, checking herself in for tests which came back positive. "They transferred her to the Ebola ward that day and four days later she died,"
Karimu said, accusing the hospital of providing inadequate protective clothing. The hospital told AFP staff training had hugely improved in recent weeks, with the help of global aid agencies and the World Health Organization. The Ebola outbreak has infected 848 people and claimed 365 lives in Sierra Leone since the herbalist began inviting clients across the border with promises of salvation. "These figures tell us one thing: Ebola is here with us and its impact on us is real,"
Maya Kaikai, the government minister for the eastern region, told a news conference in Kenema on Saturday. "It is a disease that spreads very fast, without regard for academic or economic status, political affiliation, age, ethnic grouping, gender or religion."